After an investigation of a complaint from an alleged victim who wants to move the process forward, the report is submitted to the Sexual Discrimination and Misconduct Committee for adjudication. The decision of the Sexual Discrimination and Misconduct Committee is final. As it relates to mold surfacing in buildings, our beautiful campus is surrounded by water on three sides, and therefore is subjected to instances of mold more so than buildings located on drier land. Nevertheless, we have precautionary measures in place and are constantly on watch. 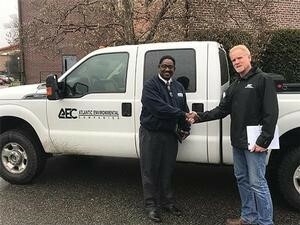 To strengthen our efforts, the University has contracted the Atlantic Environmental Companies (AEC), an independent company based in Chesapeake, VA (https://www.atlanticenvironmental.com), to inspect for mold and mildew in every residence hall. 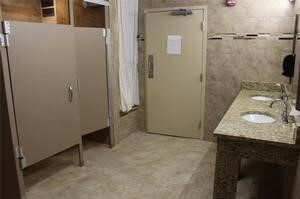 The inspection will include individual rooms and common areas. An assessment of the academic buildings will also be done. It is University policy that mold is to be eradicated upon detection and definitely wiped out immediately within 48 hours. Atlantic Environmental will provide a comprehensive report that outlines immediate and permanent remediation to ALL mold related issues campus wide. Atlantic Environmental will also provide a timeline to complete the work and progress reports will be shared with the University community. The work will begin the morning of Monday, March 5, 2018.